Pharaoh Akhenaten, who reigned for seventeen years in the fourteenth-century B.C.E, is one of the most intriguing rulers of ancient Egypt. His odd appearance and his preoccupation with worshiping the sun disc Aten have stimulated academic discussion and controversy for more than a century. Despite the numerous books and articles about this enigmatic figure, many questions about Akhenaten and the Atenism religion remain unanswered. 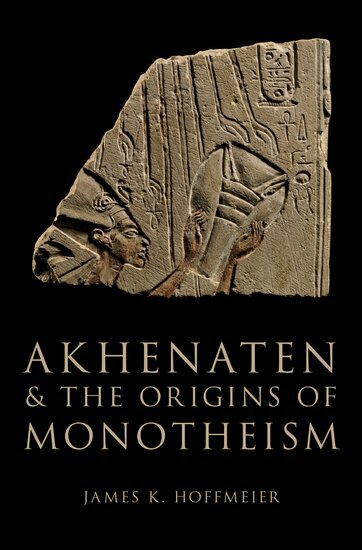 In Akhenaten and the Origins of Monotheism, James K. Hoffmeier argues that Akhenaten was not, as is often said, a radical advocating a new religion, but rather a primitivist: that is, one who reaches back to a golden age and emulates it. Akhenaten's inspiration was the Old Kingdom (2650-2400 B.C.E.) when the sun-god Re/Atum ruled as the unrivaled head of the Egyptian pantheon. Hoffmeier finds that Akhenaten was a genuine convert to the worship of Aten, the sole creator God, based on the Pharoahs own testimony of a theophany, a divine encounter that launched his monotheistic religious odyssey. The book also explores the Atenist religions possible relationship to Israels religion, offering a close comparison of the hymn to the Aten to Psalm 104, which has been identified by scholars as influenced by the Egyptian hymn. Through a careful reading of key texts, artworks, and archaeological studies, Hoffmeier provides compelling new insights into a religion that predated Moses and Hebrew monotheism, the impact of Atenism on Egyptian religion and politics, and the aftermath of Akhenaten's reign.